The SO project started in 2012 when percussionist and laptop-artist Thomas Wingren teamed up with piano virtuoso Adam Forkelid and drummer/big band arranger Calle Rasmusson. Together they wrote and arranged music for a 12 piece orchestra which was performed at a festival in Stockholm. In 2013 the project earned a sponsorship from the Swedish Jazz Federation. This time the group tried out a less orchestrated approach with a quintet setup. Two of the members from the original group, mallet specialist Anders Åstrand and reed player Peter Fredman were now joining the core trio. The result is futuristic electronic jazz based on productions in Ableton Live and live looping techniques. The quintet, which now is the main Soundscape format, performed at the Stockholm Jazz Festival in 2015 and got some rave reviews. 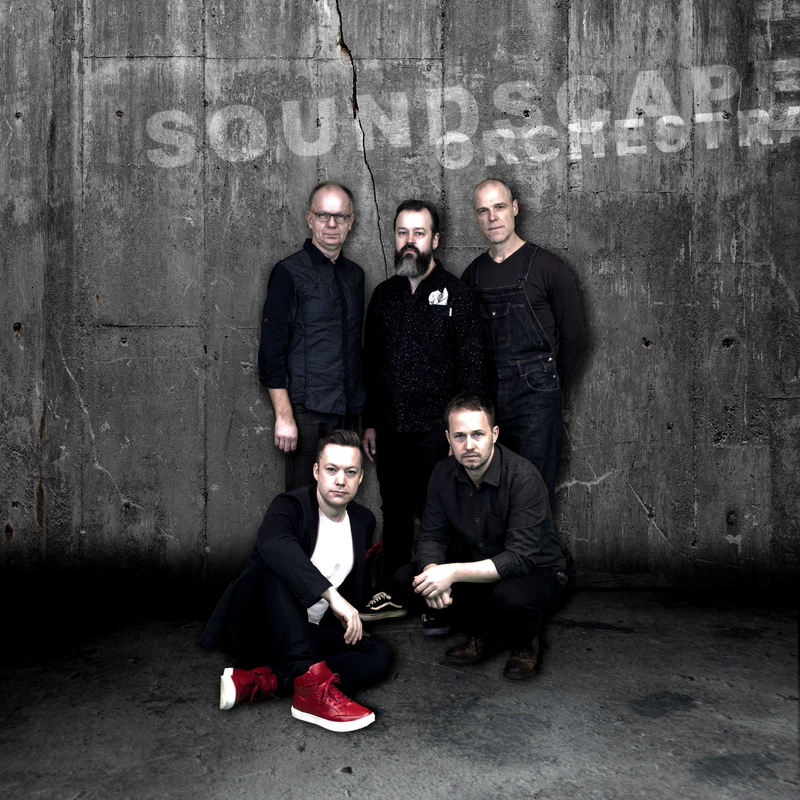 Dagens Nyheter, the largest newspaper in Sweden wrote “Soundscape Orchestra succeeds with apparent modesty to crack one of the truly great nuts. Namely to incorporate new technology and bring jazz forward”. The group performed at the worlds premier drum festival, PASIC, in Indianapolis, USA in Nov 2016.The debut album was released Oct 5 2018 on double vinyl and digital. The music has been blessed with beautiful art work. The artist Per Josephson has made one piece for every composition. These are displayed in light boxes with the associated compositions in headphones. Josephson will also participate with live visuals on selected shows.